I found it interesting that they would have thought of having the money come from the lottery but, I also think it is a good idea. There many pros to outdoor education and the lottery funding it. A few are that this program is said to improve attendance, self-confidence, and interest in math and science. Unfortunetly this program does has some downsides such as it is very expensive and some people think that the lottery money should not go to the school but to buisnesses instead. I feel that a portion of the lottery should go to project 99 because it helps students in many ways. I learned that these events are hard to do with the fact that they can only be funded by charitable donations and fundraising. It can siphon millions of dollars, Schools cant go for a full week so they just go for a few days instead. On the bright side It provides 7,000 students each year, and has more study of plants, water and soil.My opinion is that we should have the program honestly, I like nature and would love to do this. Something I found interesting about outdoor learning is how many people support it despite the high costs, and how much the children seem to like it too. Outdoor education comes with several pros and cons. Some pros are that it helps the students learn and provides a change to the regular schedules and could actually improve learning skills, plus the kids seem to enjoy it. The big con however, is that it costs 88 Million dollars a year, which is a lot of money that will have to be cut from other activities. Personally, I don't believe it is worth it to spend 88 Million dollars, an additional 77% to what the entire education system is already running off of, to do fun activities outside for a week. I learned that It's much harder to earn money to go do a field trip. 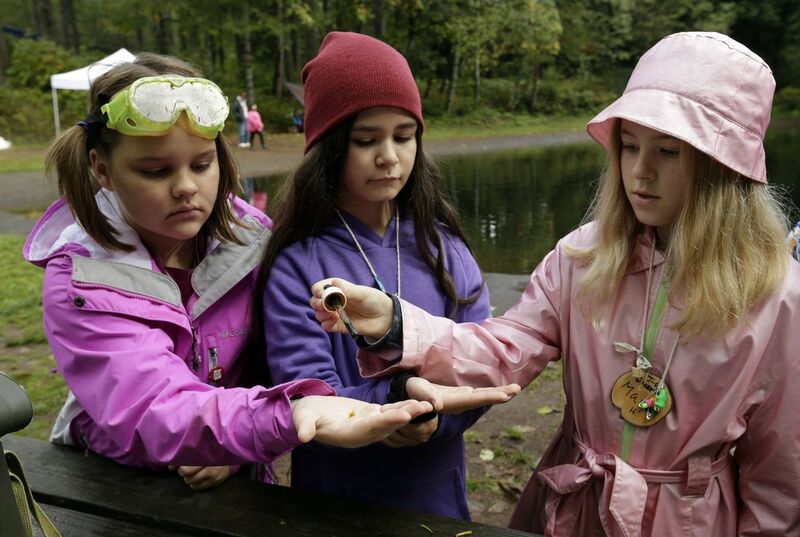 I also learned that a lot of schools are cutting this outdoor field trip from their curriculum and that's not right because kids need outdoor education, and if they not have that, they won't know much about the outdoors. Some pros are: better literacy after the course, improved critical thinking, and better leadership skills. Some cons about this is: Money is the main issue because it's hard to afford, they are needing to fund and are depending on grants. I think we should let them have money from the lottery because our future is more important and it's good to get the kids out of the classroom and feel the outdoors because It's important to them. I learned that children ages 11-12 in Oregon are given the opportunity to study outdoors. There are pros and cons to letting children study outdoors. 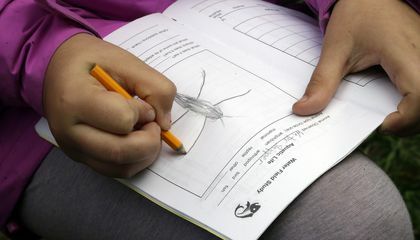 Letting children study outdoors teaches them about their environment and how to care for it. Children are able to explore new things and branch out to new careers involving the environment and nature. But being able to transport the children to learning centers and parks will cost money and need volunteers. In my opinion I think having children study outdoors makes them aware of what is happening in their environment and how to look after it. I think that all schools should have a few days to just study outdoors and learn while having fun! I learned that spending a week outdoors for outdoor education you have an improved attendance the program also boosts self-confidence and interest in math and science. There are pros and cons, the kids are better in school and learn about their environment, but it takes away from them learning about other more important things. I think we should have an outdoor education program because it improves their learning capability and you get to learn about your own environment. This article has a great extent to many pros and cons. In this article I learned that many school have a promblem, where they have to cut out the less important projects. Some of the pros are having more outdoor education.This would be kids expanding their knowledge and more of them going into a career in science. There are also cons about childrens education outdoors. Their biggest promblem is money. Money can be a hard thing to get. Especially when outdoor teaching isn't always a priority. My opinion is that all children should have an outdoor education, but one day would be cheaper insted of a whole week. I had no idea that outdoor education funding was such a problem for schools and communities. I learned that outdoor education is important to kids because it makes them aware of how things thrive in the wild. One of the cons is that it takes a huge sum of money to fund the program, and the schools want to take some of the lottery money, which is used for economic development, to fund their trips. The pros to this idea is that 7,000 kids go to outdoor education and the kids who go have better attendance at school. I support the idea of a week learning outside and exploring the wilderness. There are many pros and cons to having outdoor class. In this article I thought it was intresting how the students get more intrested in math and science. The main problem of doing this is the money. They want to take some of the lottery money to support the outdoor class, but then there's less money for all the other cooperations. Some of the good things to this is students get more intrested in school, they have better attendance, and the program boost self confidence. I would love to have my school do that. Every child should have an outdoor education. I learned that more student came to school when their was an outdoor program. A pro would be student get outside for a day and see nature. A con would be the funding to go on the trip. My opinion is that every student should get an outdoor education. I think it is very important for kids to learn bout their environment. Then they can see what is really happing to the world. This way kids will know how to treat the environment and pass it onto there kids.